Thank you for visiting us! We hope you feel we can be of assistance. You will notice we are different. Different in ways you might not expect. One unique way is we allow you to be creative. After all, it’s about your business and growing it with quality creative solutions for your visual marketing endeavors. At Colorgraphics, our skill set are pretty much defined to: big printing, small-format printing, both digital and traditional, and mail processing. On our main page you will see some sub categories; banners and customer stickers. We really shine producing these and have the work flow to produce large consistent volume. You are not going to see the first printed piece looking different from the last. Color that fades in a short period of time. Substandard materials to save cost. Our quality control won’t allow that. Our printers print with 10-colors for brilliant color. Our finishing equipment in some cases are one of the kind machinery. You are going to love our hem welding! Your competitors are shopping for price while you are looking to stand out and seek value. That’s what we do. My dad (the guy who taught the first pressmen in New England to print in color) wouldn’t stand for poor craftsmanship. He taught us well and to be ahead of the curve! Other print shops lock you into to a specific paper, a certain size, blah, blah, whatever they stock which in many ways limits you. In many cases, they are purchasing in bulk an inferior raw material. At Colorgraphics, we beta-test many products every year then seek low entry pricing. This allows us to offer you customized solutions for your visual marketing needs at affordable prices. Don’t take us wrong, online service providers are changing to the print buyers landscape- they are just delayed. We like to think we are and have been ahead of the curve. See below for the many ways we are different and unique. At Colorgraphics, we are committed to our clients, people like you who live and work in our communities. Your business depends on us to be on-top of our game. No set-up charges: Most shops charge a set-up fee. We will not! Lower costs: We work longer and smarter, we control our waste, buy in bulk, and offer alternatives and upgrades to make you look better. Quick turnaround: Measured in hours & days vs weeks. You will be receiving your order by the time other shops get their raw materials. Small quantity production: We fire up our printers for quantities as low as one. Customize products: No set sizes or “cookie cutter” patterns. Unique materials: The widest range of media. Over 55 different type of materials, both rolled and rigid, on the shelf, ready to go. 3-year guarantee on no fade or peel. 10-color printing: First in Maine! Mail Anywhere: First in state to be allowed to mail anywhere based accuracy of deliverable pieces. Work with the “trade”: Other sign shops and printers outsource to us. New to our “trade” lists are: graphic designers, advertising agencies, and marketing firms. We’re all in this together! Check out our Unique Products section. We also offer Variable-data printing, Letterpress (old-fashioned) printing, vectorization of your artwork, graphic design services through our TeamCreative department, direct-to-board printing, artist “Giglee” type printing, many more unique items. 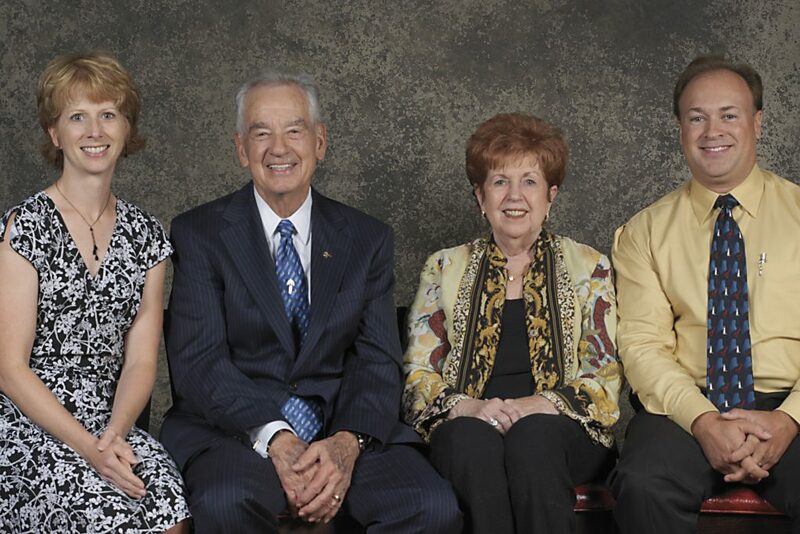 Far right Peter Schutte, other gentleman is Zig Ziglar & the other two ladies are our Redheads. Zigs best quote fits Peter to the “T”- You can get everything in life you want if you will just help enough other people get what they want. Enough about us! How do you feel we can be of assistance?